Learning Important Features of Informational Text with Reindeer….. 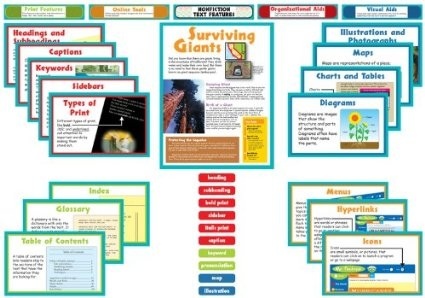 Most of the time moving from Narrative text to Informational text is easy. My son read story books about the tooth fairy and was naturally interested in teeth. An adventure of seeking information about his teeth compared to animal teeth began. Our teeth look like this. 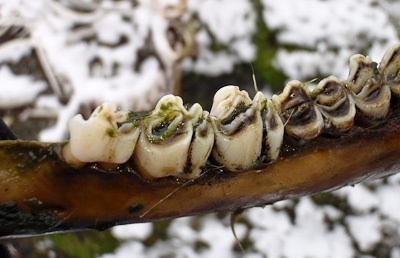 Reindeer teeth look like this. JUST LIKE THAT…We were off to find out all about Arctic mammals! He had never watched this classic before learning about reindeer so I was excited to watch this with him! I wanted PJ to become familiar with all the features of Informational text. I quickly found some printable lists for my visual learner…..
At the library…it’s an older edition of the first book I think. Next, we looked up the books I found from above. He began to fill in his Just The Facts worksheet also from Teacher Files. We took turns reading but I asked him to stop me when he heard a FACT so he could write it down. There were words we looked up in the glossary along the way when he didn’t understand their meaning. I wrote down those words to later use as vocabulary and speech practice words. He wasn’t ready to answer why he thought the words were important yet. I didn’t want to overload him so I saved those thinking questions for another day. -By that point my son was familiar with the most important Nonfiction Text Features and could look up bold words in the Glossary. -He was able to match and find chapter headings from the Table of Contents to within the books we read. –He could find the map in one book and point to where Reindeer migrated. – He also had 6 facts wrote out about Reindeer that we will use later to fill in the “What I Learned” part of his K/W/L chart. Here is an example of a Just The Facts sheet about teeth. Sarahs First Grade Snippets – Reindeer Fact Craft and More! Web Facts About Reindeer…..Yep that’s a part of Common Core and well just a skill must have nowadays. University of Alaska – Reindeer Caribou..What’s the Difference?